A week or so ago, we had a picnic at our home. James and Abbie, Wesley and Claire and our friends, Aaron and Jasmine all came over...it was a wonderful day of fellowship. Aaron, with his littlest one. Now Julia gets to hold him! "Is any pleasure on earth as great as a circle of Christian friends by a good fire?" Later in the evening we had a fire and roasted hot dogs and marshmallows. Patiently waiting for her stick to be sharpened. Abbie, knitting, and Aimajia looking on. 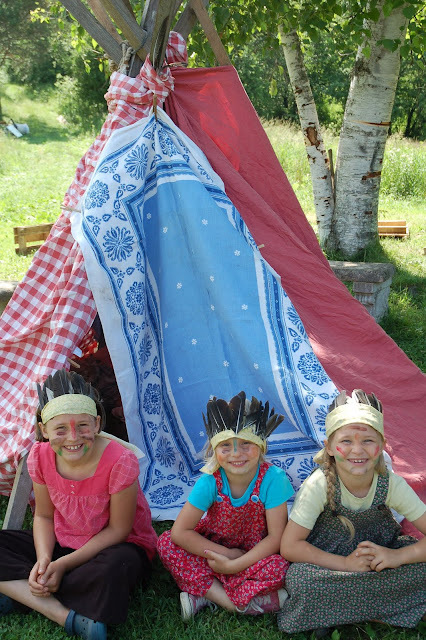 Three little Indians, outside their tepee. 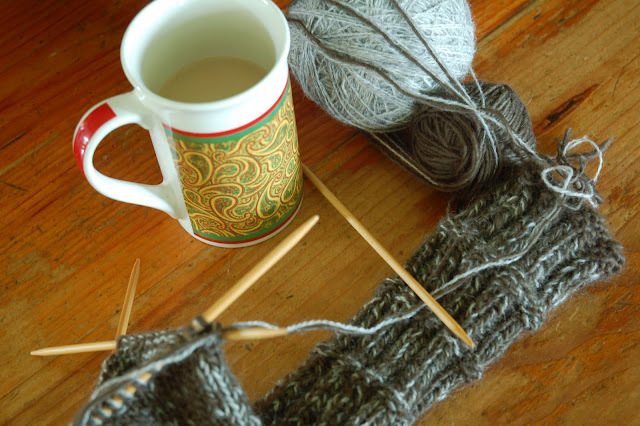 Tea drinking and knitting...a new sock. "No gift unrecognized as coming from God is at its own best...when in all gifts we find Him, then in Him we shall find all things." "My hope lives not because I am not a sinner, but because I am a sinner for whom Christ died; my trust is not that I am holy, but that being unholy, He is my righteousness. My faith rests not upon what I am, or shall be, or feel, or know, but in what Christ is, in what He has done, and in what He is now doing for me." "To truly love someone is to see them as God intended." Next time let me know when the party starts I take the plane over the ocean and come too enjoy the bbq! Wonderful photos! It looks like it was an enjoyable time! :) I love picnics! I have yet to try knitting socks. I really would like to....some day soon. :) Yours are looking wonderful! Delightful photos capturing your wonderful time together. Just beautiful Rosie. Thanks for keeping us updated on your family's doings. Your mom's blog has been such a big influence on my life. I love the teepee and Indians. Too cute! Looks like your family is having a wonderful summer. So nice to see the blogging baton being handed down to the next generation. The bulb syringe on the bookshelf in the "sunny corner" photo is cracking me up. can't remember whos site I came to visit yours....love your blog.